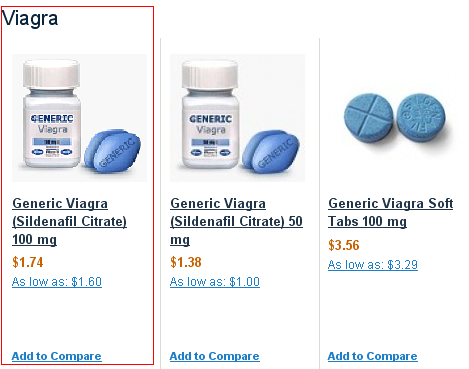 How to order medicine online ? 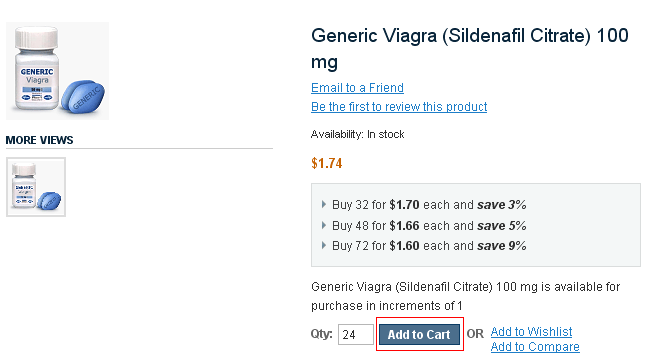 Placing an order with www.24-h-rx.net is very eae are the steps you need sy. Herto follow. If you have any problems or questions, please contact our Live Chat support, which can be found on the Home page in the top right corner. Here, one of our operators will answer in English to your questions through a chat. Existing customers need to log in by entering their email address and password. New customers need to register. Find the “Log in” button in the upper right corner and click on it. Then click on “Create an Account” button and introduce your personal information. Now that you are registered and logged in your account, you may easily choose the products you want to buy. After you find the product you are interested in, by searching it in the main menu on the top of the page, click on the item’s name to see a detailed description. Here you will find more information about the item, including usage, dosage, indications, storage etc. Once you have added an item to your Cart, keep searching or browsing until your Cart contains all of the items you want to order. Take a moment to review all of the items you have placed in your Shopping Cart. If you decide that you don't want to purchase a particular item right away, click the "Remove item" button next to each product. If you are ready to place an order for everything you have in the Shopping Cart, click the “Proceed to checkout" button. You will be taken to the first page of the order form. 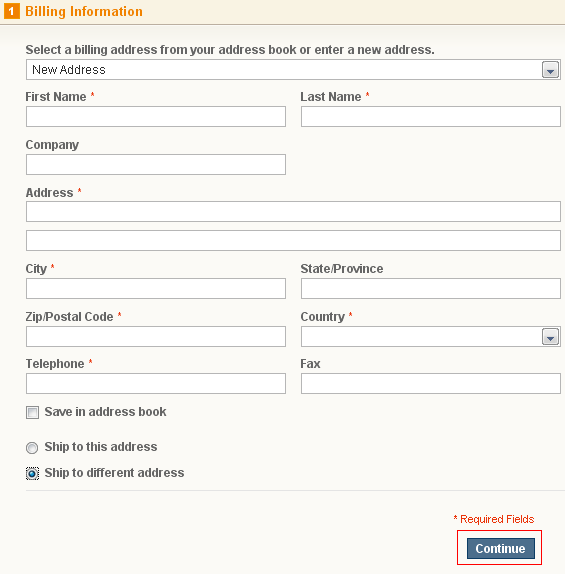 Here you have to fill in your shipping address (the address to which we will ship your order). After completing, click on “Continue” button. 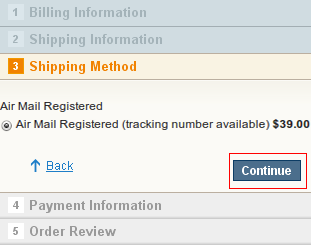 Choose the shipping and handling method and click the “Continue” button. Choose the payment method you like and click on “Continue” button again. Take a moment to review your order. Here you see the products you want to order, their prices and the total amount of your order including shipping and handling. If everything is correct, click on “Place Order” button and you will be redirected to the server of the bank that manages transactions. On the payment page, insert your credit card information (card number and expiration date). 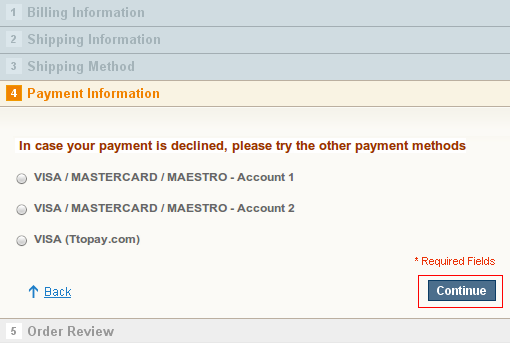 To confirm the payment please click on “Pay” button. If you want to pay by bank transfer, please write us a message. You will receive our bank details to make your transfer. Your order will be confirmed after the receipt of bank transfer. To access the order tracking click “My Account” and chose "My Orders" section. To send us a message, open your account on the website and click “My Account” section on the top of the page. 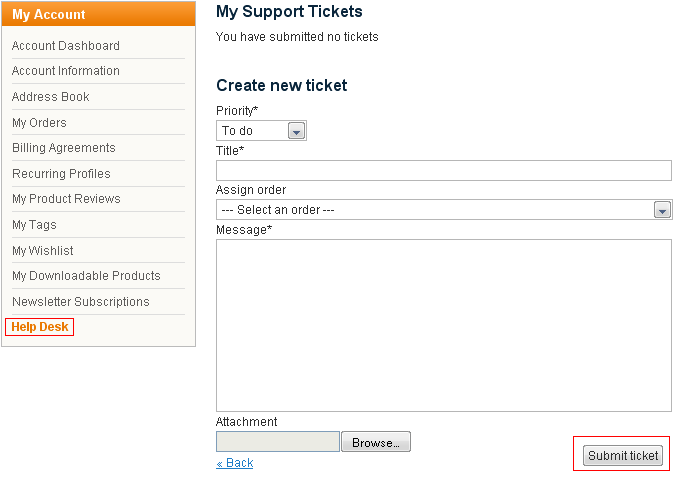 Choose “Help Desk” from the left side menu and write your message. You will have a reply in 24 hours.